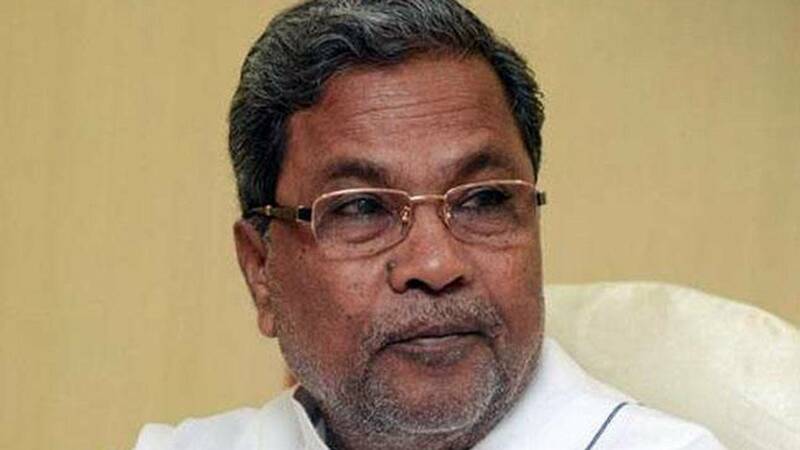 By staying the ethnographic and socio-economic survey of Kodavas under way in Kodagu, Karnataka chief minister Siddaramaiah has given the impression that he is dancing to the tune of maverick politician A.K. Subbaiah. The survey was initiated by the Karnataka government to see whether the community qualifies for the tribal status. According to observers, Subbaiah is cut up with the head of the Codava National Council (CNC) N.U. Nachappa, who has been championing the cause for special status for Kodavas. Subbaiah and Nachappa have crossed swords in the past. What infuriated Subbaiah was the demand for action made by Nachappa against timber magnate P.C. Asainar for alleged illegal tree felling in Kopattimale in Bhagamandala forest range in Kodagu District. The CNC had demanded action against Subbaiah and his son Additional Advocate General (AAG) of Karnataka A.S. Ponnanna for allegedly ‘supporting’ the timber magnate. Subbaiah countered by alleging that the CNC was not a registered organization and Nachappa was misguiding the entire Kodava community for his benefit as the CNC does not have any bylaws or members. “Nachappa is trying to gain mileage by making baseless allegations against us. I gave shelter to Nachappa for five years once upon a time and now he is blaming others for no reasons,” he said. Defending his son, the former MLC said, his son rose to the post of assistant advocate general on his own merit and hard work. Instead of feeling proud on a fellow Kodava’s achievement who has an opportunity to become an SC judge in the future ,Nachappa is planting venom in the society to tarnish his son’s image, he alleged. The decision to stay the Kodava survey was taken by the chief minister to apparently keep Subbaiah in good humour as the latter is known as a ‘loose cannon’ in politics and has a ‘nuisance value’. It may be recalled that Subbaiah’s son Ponnanna was appointed additional advocate general by the Siddaramaiah government which is a political appointment. But caught in the crossfire of politics is the enthnographic survey which would go into the special characteristics of the Kodavas who have a unique culture. It is unfortunate that the chief minister is stooping to placate Subbaiah, instead of upholding a scientific survey. The question of tribal status for the community is not important, but it is important to reverse the dwindling numbers of the Kodava community. THE INCOME OF A SMALL PERCENTAGE OF US CANNOT BE THE DECIDING FACTOR FOR TRIBAL STATUS. IF THE GOVT REALLY WANTS TO PROTECT THE KODAVA COMMUNITY FROM DISAPPEARING, THEY HAVE ENOUGH INFORMATION TO BRING IN MEASURES TO PROTECT US IN OUR OWN LAND. IF THEY DO NOT DO THAT…THEN IT BECOMES OBVIOUS THAT THEY NEVER INTENDED TO PROVIDE A TRIBAL TAG OR PROTECT US, AND THAT THEY ARE USING THE INTERFERENCE OF ONE SINGLE POLITICIAN TO THEIR ADVANTAGE. It is now very convenient to say “Oh, we tried to do something for them, but their own people stopped it.” If we were a mainstream culture and not tribal by nature, the exploitation of Kodagu the way it has happened till now, would not have been possible. The survey needs to be done for the sake of knowledge and the betterment of our community. Nothing wrong with being tribal. The Hakki Pikki’s and Kurubas in particular have always worked together with the Kodavas for generations.